Over the past few weeks, I have been involved in a campaign initiated by Vicki Davis (an award winning education blogger aka @coolcatteacher on Twitter) to raise awareness about the issue of modern slavery. Vicki asked educators to blog or tweet once each day during the winter break from school to help end modern slavery. I enthusastically joined her campaign, and in the process I have learned a great deal. 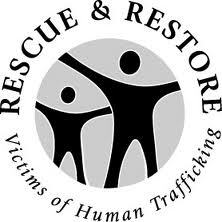 In this post, I would like to offer some resources that may be helpful to you as you address the issue of human trafficking. Recently three organizations working to abolish slavery received an 11.5 million dollars from Google to aid their efforts. Each organization takes a slightly different approach to the fight. The International Justice Mission is a Washington DC based human rights agency that works to rescue victims of slavery and sexual exploitation in about 12 different countries. The Polaris Project and The Slavery Footprint work together in the US Human Trafficking Initiative. the Polaris offers a Human Trafficking Resource hotline, and the Slavery Footprint offers a great interactive website so people can learn how their lifestyle depends on slave labor. Educator Larry Ferlazzo has compiled a great list of resources that will be useful to anyone interested in learning more about modern slavery. The CNN Freedom Project is an anti-slavery campaign that was launched in March 2011. They report that 2000 people have been freed so far through their efforts. Their website has many useful resources. ABC also reported extensively on child slavery in the summer of 2008. Their news reports inspired my initial interest in abolition, and although some of the links on this page are no longer active there are still some that might be helpful to you. A Crime So Monstrous by E. Benjamin Skinner–This book by a journalist was published in 2008 and is really a foundational book for anyone who wants to learn more about modern slavery. Many rave reviews. Be the Change:Your Guide to Freeing Slaves and Changing the World by Zach Hunter — The author of this book is a college student and a well known public speaker on the topic of abolition. He has been an abolitionist since age 12 and wrote this book as a teenager. Sold by Patricia Mc Cormick- This novel about a 13 year old girl from Nepal sold into prostitution by her step-father was a finalist for the National Book Award. It is recommended for grade 9 and up. The General Board of Church and Society of the United Methodist Church has some church specific resources posted on their website. These include bulletin inserts, official church resolutions, small group study resources, current legislative actions, and links to other Christian abolition resources. President Obama has declared January to be Human Trafficking month; and the United Methodist Church designates January 11th as Human Trafficking Day. Although I am posting this information on January 6th, human trafficking education, advocacy, and preaching is appropriate on many different occasions. It can be easily integrated into the curriculum of a high school English class (see this great unit plan for a high school English class and my post on “Teens Stand Up Against Slavery”) and into preaching (there are many scripture passages that could be useful for this) at various times of the year. It is my prayer and my hope that educators and pastors will work together to bring awareness to this continuing human tragedy. Together we are a powerful force.